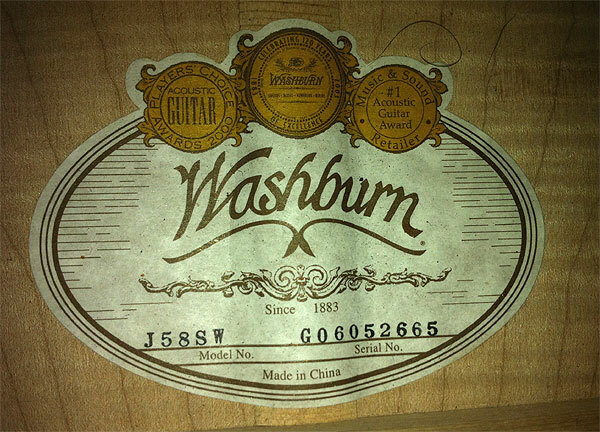 This Washburn J58SW Timbercraft is an all solid wood jumbo with a flamed maple back and sides. It has a jumbo body with a tight focused low end and a crisp clean highs. 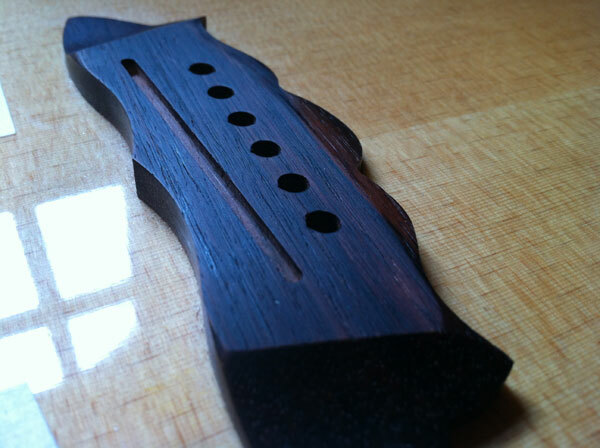 The top is sitka spruce. It has high end features like maple binding, rosewood butterfly bridge, rosewood capped headstock and a bone nut and saddle. These are no longer in production (2006-2007). 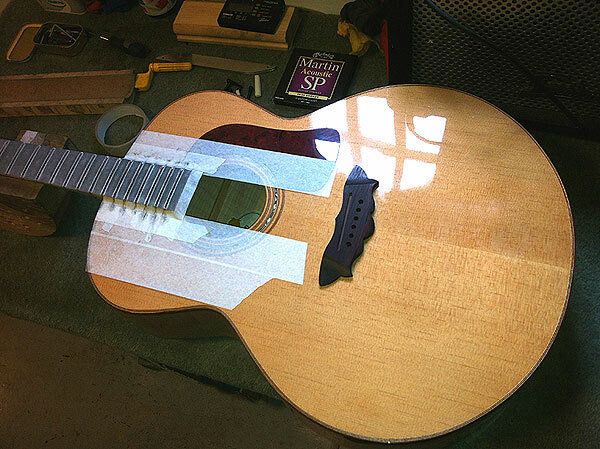 A very well constructed Chinese made instrument, this guitar needed considerable work to get it playable. The neck is very slightly under-set meaning the angle the neck meets the body left the guitar with pretty high action. This required considerable alteration to the bridge. 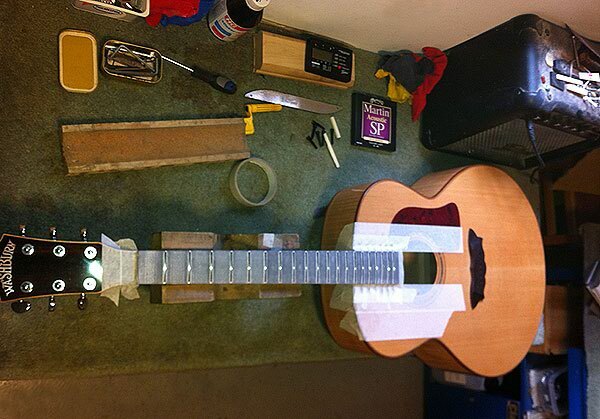 Frets were leveled, re-crowned and dressed to remove several years of playing wear. 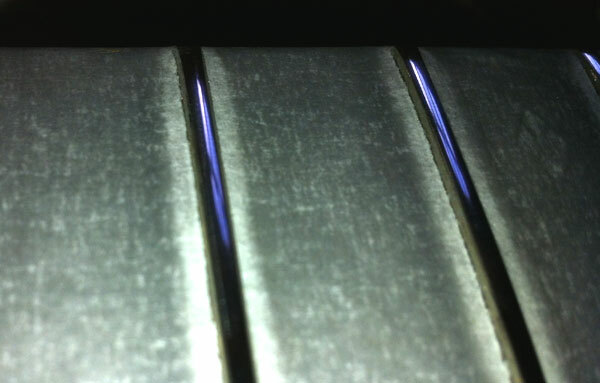 They were particularly high frets to start with – now 1.2mm height, which is great for bends without the feeling you are playing on a scalloped neck. Restrung with a set of Martin SP bronze wound strings, with the action set low and the bone nut slotted correctly, it’s a great guitar. If you are buying one of these Timbercraft models and it hasn’t already been done, I would advise you to invest in a professional set-up to get the best out of it you possibly can. Have you a Washburn J58SW, and what price please.